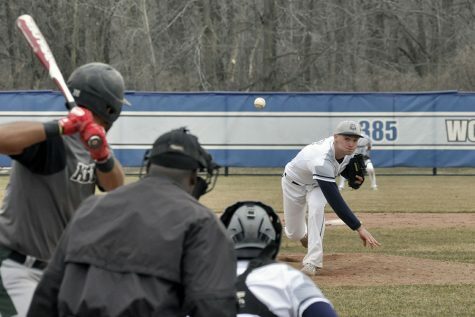 In its latest stretch of games, the Madison College baseball team has begun to battle back from an uneven start to the season. After winning six of its last eight games, the WolfPack now stand at 13-11 overall and 2-2 in conference play. The team’s full might was on display in a doubleheader sweep of Bryant & Stratton College on April 12. The WolfPack won both games by the run rule, winning 12-2 in six innings in the first game and 14-4 in five innings in the second game. In the first game, Jarrett Scheelk hit three home runs, his first home runs of the season, and finished with a team-high five runs batted in. Connor Fedders pitched the game and earned his first win of the season, allowing one earned run on four hits and three walks. In the second game, Madison College tallied 11 hits, 11 walks and four hit batters as it easily routed Bryant & Stratton. Freshman Carl Valk hit the first homer of his career and added a double to lead his team. Pitcher Trentin Uttech earned his first collegiate win after holding the Bobcats scoreless through the first three innings. Madison College’s next scheduled game is Wednesday, April 18, at home against the College of DuPage. Unfortunately, with the recent snow, much of the schedule will be subject to change. Check the Madison College athletic department website at MadisonCollegeAthletics.com for the latest information. 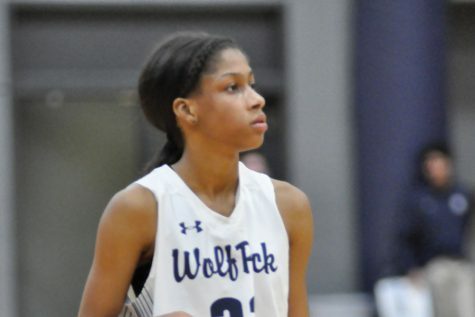 Madison College has played a pair of conference doubleheaders so far this season, and in both suffered a disappointing split. 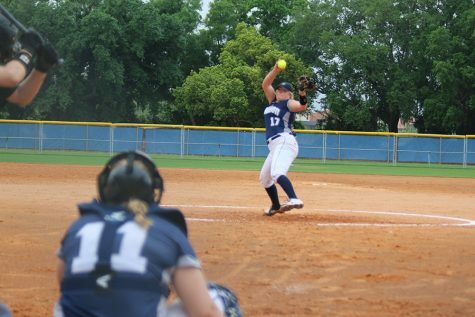 In the first, Madison College beat Triton College, 5-2, on April 7, before falling the second game, 7-6. A strong pitching performance by Jack Eagan propelled his team to a win in the first game. Eagan struck out 13 and allowed just three hits in the game. Madison College fell behind early in the second game against Triton, and came up short despite a four-run seventh inning. Gile and Logan Michaels led the team with three hits in the game. In the second conference doubleheader, Madison College fell to Milwaukee Area Technical College, 6-3 in 10 innings, before rebounding for a 4-0 victory. Madison College led 2-0 heading into the final inning in the first game with Milwaukee on April 10, before allowing two runs in the top of the seventh. Milwaukee then put the game away by scoring four times in the top of the 10th inning. The second game saw a strong effort from sophomore pitcher Jake Kopp. In his first start of the season, Kopp allows just two hits and retired the final 15 batters in order. Garrett McGraw leads the team with a .413 batting average, with 19 hits in 46 at bats.Cam Cratic has the most hits on the team with 26 and has a .400 batting average. Gile and Scheelk both hit three of the team’s eight home runs this season. Nathan Aide has six doubles to lead the team in that category. Pitcher Matt Hamilton leads the WolfPack with a 4-0 record and a 1.32 ERA. Eagan has a 2-0 record and a 1.52 ERA, but leads the team in strikeouts with 34.